민중건강운동(PHM)에서 Dr. Amit Sengupta의 부고를 전합니다. 사랑받는 동료, 친구, 멘토이자 활동가였던 Dr. Amit Sengupta가 2018년 11월 28일 인도 고아주에서 발생한 사고로 세상을 떠났습니다. Amit는 PHM의 창립 회원이었으며, 모두를 위한 건강(Health for All)을 목표로 공중 보건과 의약품 정책에 헌신해 왔습니다. 그는 PHM의 부국장이었고, Global Health Watch와 WHO Watch의 편집위원회를 이끌고 있었습니다. 또한 최근 다카에서 열린 총회에서 건강과 사회 정의를 위한 공동 행동 계획을 수립하고 공유하는데도 중요한 역할을 했습니다. PHM의 일원으로 PHM Korea는 Amit를 동료로 둔 특권을 누려 왔습니다. PHM, 그가 설립한 PHM의 인도 지부인 JSA, 그리고 그를 기리는 우리는 모두를 위한 건강을 꿈꾸던 그의 비전을 계속해서 추구하려고 합니다. 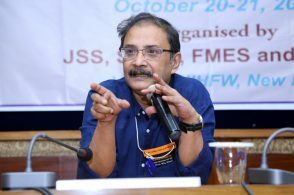 It is with extreme sadness that we announce the passing away of our dear comrade Dr. Amit Sengupta, a beloved colleague, friend, mentor and activist. Amit passed away on 28 November 2018, in a swimming accident in Goa, India. Amit was a founding member of PHM at its creation in 2000 in Savar, Bangladesh. Trained as a medical doctor, Amit dedicated his life to the struggle for universal access to health, and worked on issues related to public health, pharmaceuticals policy and intellectual property rights. 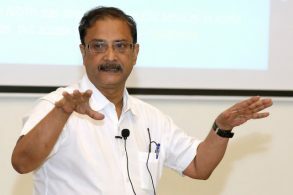 He led several research projects in the area of public health and medicines policy, and was associated with several civil society platforms and networks, including the All India People’s Science Network. He was the Associate Global Coordinator of People’s Health Movement (PHM) and coordinated the editorial group of the Global Health Watch and the WHO Watch. He was the Co Convenor of Jan Swasthya Abhiyan (JSA), the Indian Chapter of PHM. He wrote regularly for journals and newspapers across India and the world. Amit played a key role in the recently concluded People’s Health Assembly in Dhaka where more than 1400 people from around 73 countries came together to share their struggles and plan for coordinated action for health and social justice. Amit brought his enormous political, organisational and leadership capacity to PHM. We were privileged to have him as a co-traveller. He leaves us a wonderful legacy: the magic of his life, his intelligence, warmth, honesty, joy, wry humour and his steadfast commitment to a just and equitable world. The untimely demise of this special comrade and friend is an irreparable loss to all of us personally, Amit’s family and for the broader health movement globally and in India. We offer our condolences and solidarity to Amit’s wife Tripta and son Arijit. PHM and JSA will continue to carry forward Amit’s vision of strengthening the public health movement towards health for all. Adios, Red Salute, Laal salaam!